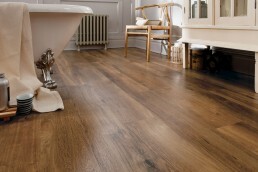 We stock leading brands such as Karndean, Amtico, Moduleo, Parador and Woodpecker and all types of hard flooring, including engineered wood, laminate and luxury vinyl tiles. 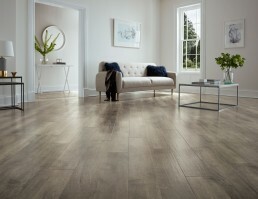 Come and visit our flooring departments in store. 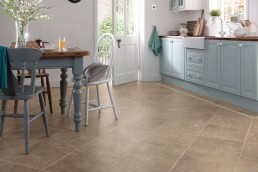 Come and visit our newly refurbished hard flooring departments at our Suffolk stores. 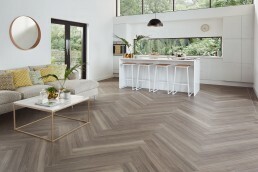 We have a huge range of hard flooring including engineered wood, laminate and luxury vinyl tiles offering superior design quality, combined with high durability and resistance, from all the leading brands Karndean, Amtico, Moduleo, Parador, and Woodpecker. 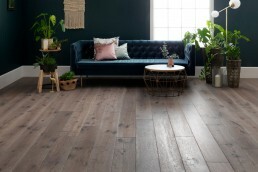 Available in a range of designs including tile, oak, pine and stone, hard flooring can transform any room in your home adding instant character in a range of finishes. 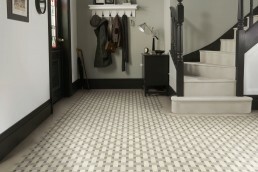 Glasswells offer a professional floor fitting service! At Glasswells we believe in making things easy for you and we’re proud of the professional fitting service we offer. 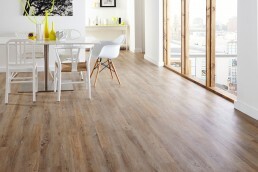 We fit laminate, LVT, vinyl and engineered wood flooring all by trusted and dedicated flooring fitters. To ensure that you have the best experience possible with hard flooring it is vital that you have a sub-floor damp and level test. your sales consultant will arrange a separate appointment to check this ahead of the normal installation. 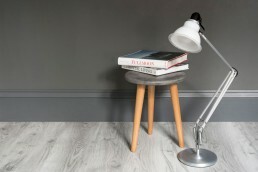 Luxury Vinyl Tile (LVT) flooring is tough, durable and its photographic top layer can mimic a wide range of other materials, whether that’s wood, stone or ceramic. It looks just like the real thing! 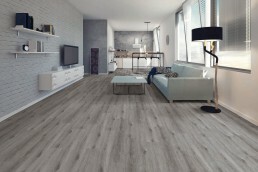 LVT Creates a stunning floor and is perfect for any room including kitchens and bathrooms, these durable tiles are ideal for even the most hectic of households with lots of traffic. 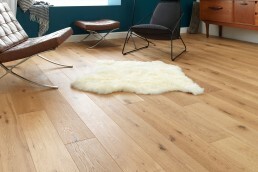 Cosy and warm underfoot, it’s 100% waterproof, can be used with underfloor heating and has a tough scratch-resistant wear layer. 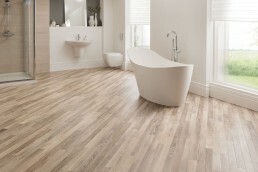 Top quality from top brands such as Karndean, Moduleo and Amtico! 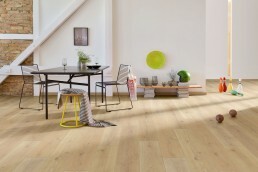 To the eye, engineered wood flooring has all the natural beauty of solid wood. Intriguing textures, rich and subtle colours, and gorgeous finishes are all present and correct. 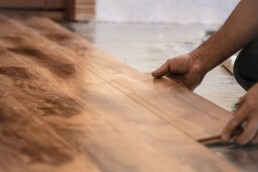 However, the boards are constructed in a way that makes them more versatile, and more practical in today’s home. It is composed of multiple layers of timber stuck together, and then finished with a layer of hardwood lamella. 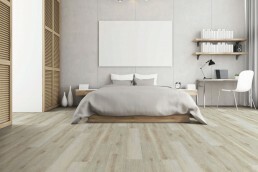 Engineered wood flooring is seen as an appealing alternative to solid wood flooring as it looks similar and is able to withstand high levels of moisture and fluctuations in temperature, making it an ideal flooring solution for underfloor heating. Top brands include Woodpecker and Furlong! Glasswells are the largest carpet retailer in Suffolk and we are committed to helping our customers select the right carpet and flooring solution. 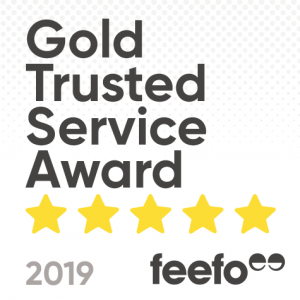 So if it’s just to measure up accurately or get helpful advice, just request a free planning & estimating appointment in store today to ensure you get the best price, for your perfect carpet and flooring choice. Alternatively, book a consultation today by telephone.